Roosebeck 16 x 8 Inch Irish Bodhrán Gig Bag Nylon. Inexpensive soft carrying case. 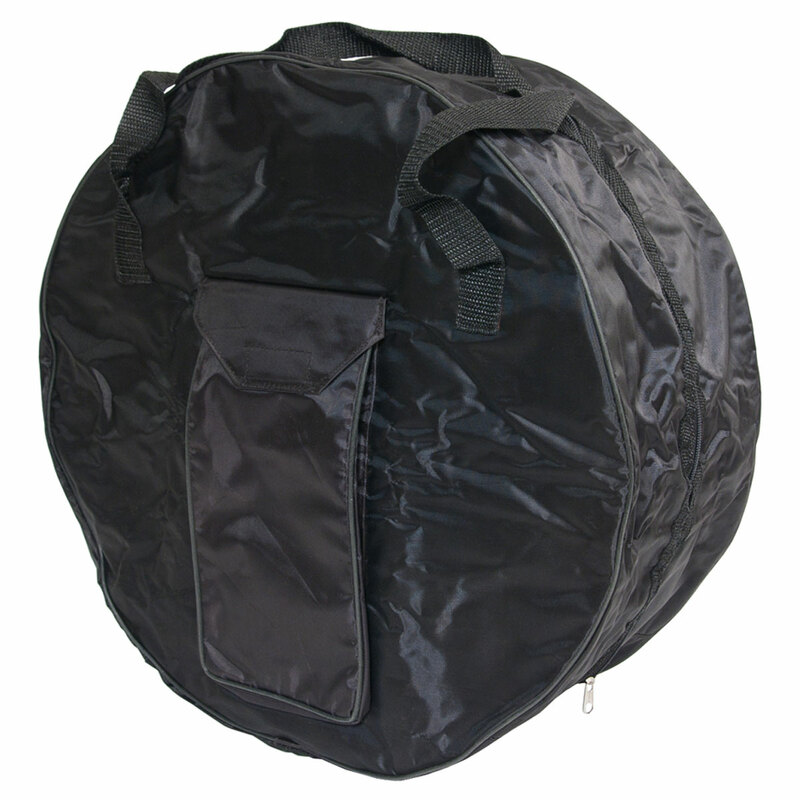 This case accommodates any circular frame style drum up to 16 inches diameter by 8 inches deep. Sewn into the case is a side pocket for tippers and twin zippers for easy opening and closing. Protect your drum from accidental scrapes and keep it clean while you store or transport it.